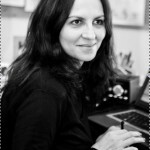 Born on March 26, 1957 in Bucharest, Irina – Margareta Nistor is a BA of foreign languages, in 1980, French and English, graduating the University with a paper about “Cocteau and his poem-films”. Cristian Mungiu, born in Iaşi, Romania in 1968, first studied English language and literature at the University in his hometown and worked for a while as a teacher and journalist – for written press, radio and TV. Later on he moved to Bucharest and studied film at the Film and Theatre Academy – shooting several short films after graduation. 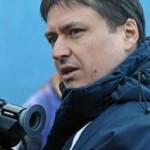 Is a Romanian director and screenwriter, born in 1975, in Vaslui, Romania. 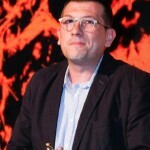 His film-school short features, “Pe aripile vinului” (“Gone with the Wine”) (2002) and “Calatorie la oras” (“A Trip to the City”) (2003) have received many awards, such as the Special Jury Prize at the DaKino Festival for “Pe aripile vinului” and Best Short Feature at Montpellier, Best Director at the “Anonimul” Film Festival and 2nd prize at the “Cinéfondation” section at the Cannes Film Festival for “Calatorie la oras”. Is a film professional with an extensive experience in production, with over 15 years in the business and more than 20 films produced. 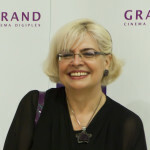 A major part of the projects she worked on are big international co-productions that were highly appreciated, both by the public and by the professionals, some of which awarded in prestigious festivals.